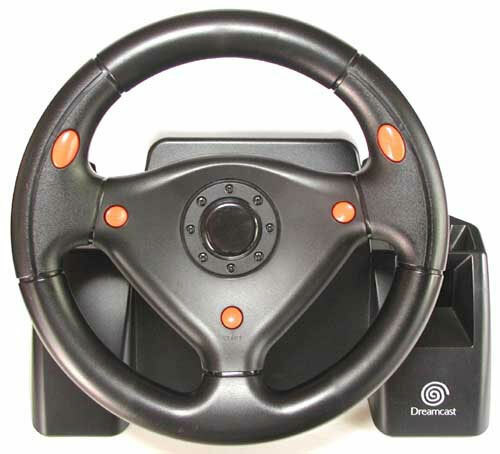 A well designed steering wheel from Sega to make racing games far more enjoyable. The wheel tightens up as you steer to extremes and sits nicely back to the centre. Buttons and throttles are well positioned making it hard to fault this AM2 inspired wheel. 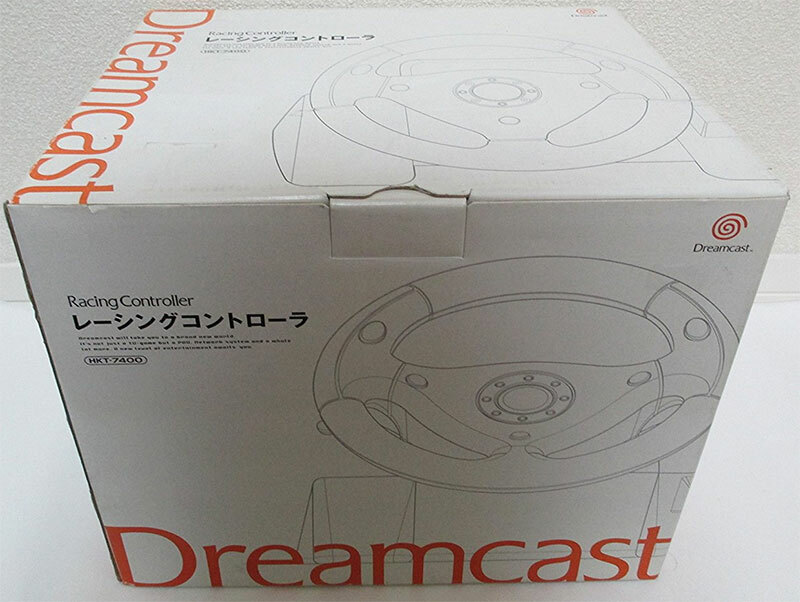 There's even a VMU slot for fastest times and this controller should help you clock up a few. Second hand. Please note: no manual is supplied.